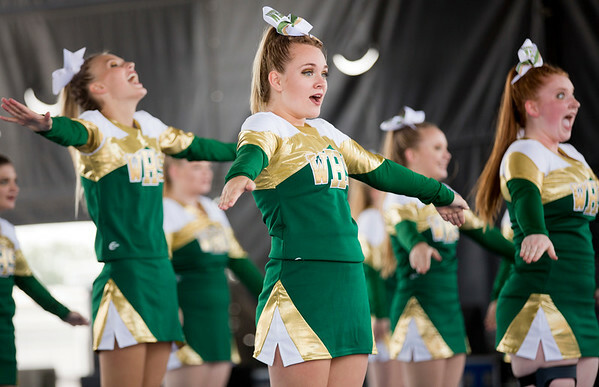 The Wawasee High cheer squad performs while competing in the 44th annual cheerleading contest that is part of the Elkhart County 4-H Fair Friday afternoon. Three cheer squads took part in the competitive portion of the event, with Concord taking first place, Wawasee High taking second place and Oregon-Davis High placing third. John Adams High was also on hand as the only squad competing in the spirit squad portion of the event. Other activities included a jump off and demonstrations by Indiana Ultimate.